Stormwater Management Outreach Team’s purpose is to educate people who live and work in Dallas on how each one of us can prevent water pollution right here in the Dallas area. A very important audience that we educate are children. One of our favorite educational programs is called Story Time. In Story Time, we read the book All the Way to the Ocean written by Joel Harper and illustrated by Marq Spusta. 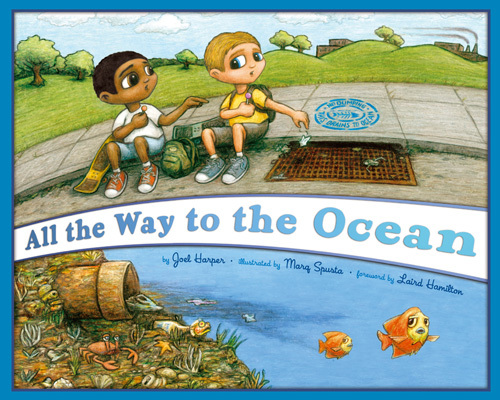 All the Way to the Ocean tells the story of how two young boys learn how they can help prevent stormwater pollution and how that helps the many animals that live in oceans, creeks, and lakes. Stormwater Management had the privilege of speaking with Joel Harper about his book and what he hopes children and adults will learn from it. Stormwater Management (SWM): Why did you decide to write a book about stormwater pollution? SWM: Why did you write the story as a children’s book? SWM: Were you involved in choosing Marq Spusta to be the illustrator? SWM: When a child reads All the Way to the Ocean, what lesson or idea do you hope they take from the book? All the way to the Ocean is available in three languages: English, Spanish, and Mandarin. 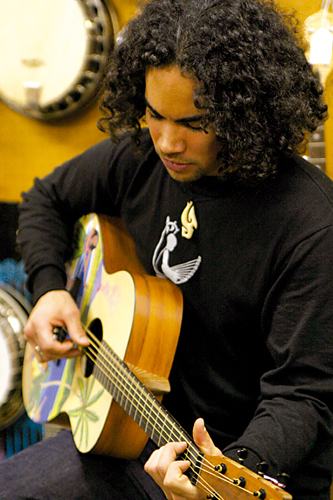 Visit www.allthewaytotheocean.com to learn more about the book and to purchase it. You may also check out All the Way to the Ocean in both English and Spanish through the Dallas Public Library. Visit their website at http://dallaslibrary.org to find the closest branch to you. To schedule a Story Time presentation contact Stormwater Management at 214-948-4022 or email stormwater@dallascityhall.com. Nice interview. Hopefully he can put something like a song on youtube that can go viral and help spread awareness!